We have our own platforms - our desktop and mobile website (which you go to when you check us out on your browser) and our Android and iPhone app. On the app we offered some unique features - where you could connect with women just like you, ask and answer questions, create and take polls, follow and message each other. 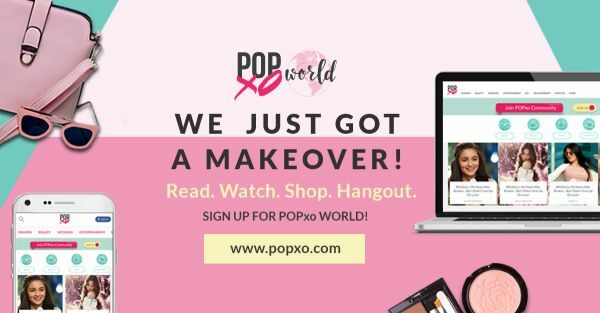 With so many large pools of audiences who often are loyal to their version of POPxo - some of you only read us on Facebook, some know us only through Instagram or YouTube and some only on the app - we thought it was time to put it all together! So from today, you will get a single POPxo experience - across all our platforms! It's YOUR world, where you can Read great content, Watch our videos, Shop for things we have chosen especially for you and Hangout with women who are just like you. It’s a lot of fun!! If you already have the app, then read on to see how we have improved it. If you don’t have the app, get it now! I know it's a whole new look. :) Hope you love it! The top four icons are your access to POPxo world. It’s that simple. You choose what you want to do, when you want to do it. You are fully in control. In the mood for POPxo content? Then click on the Read icon. Our lists and stories - at your fingertips! Video more your thing? Then Watch is where you need to go. Need your dose of Komal and Cherry madness? Here are all POPxo videos, in one place. Best of all - they play directly in POPxo World. You can watch one, go right back and watch the next! See an endless list of fabulous stuff we have curated...just for you. Done buying? Click on the cross on your browser and you will be back in POPxo World. You have two options (for now). Do you want to answer questions or take polls? We know how much you love doing both! Select the one you want - and its feed will open up. All polls in one place - heaven, right? All you need to do is click Home and select what you are in the mood for. Fashion? Beauty? Or just a fun selection of stuff - Random? Whatever you want, simply select the category and all types of content will magically appear in the feed below. ... Or simply you can’t make your mind up about what you should do - then click on the pretty floating green button on the bottom right. You can ask a question or create a poll. Just remember to tell us what category it belongs to! It is the one place where you can quickly switch between home, your profile, messaging and search. Your profile page has had a makeover too! There is an easy link to all your fab followers and the lovely peeps you follow. And the most important thing - your score and badges! And, of course, your activity feed is right below it. The hamburger menu - the three dashes on the bottom right - has all the practical stuff you need. It’s where you will find a link to changing your profile photo! I really hope you love POPxo World. We’ve had a lot of fun creating it. P.S. : Share it with your friends - we would love to welcome them to POPxo World too!